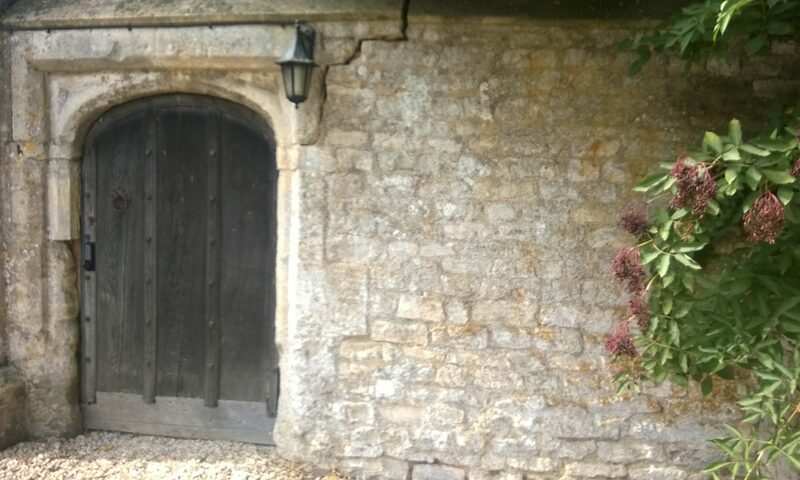 Vocational education originates from the age old apprenticeship system. But as the job market becomes more specialized, economies demand higher levels of skills. And this is the gap that vocational education can fill – providing a more hands on learning experience. Emirates 24/7 on Dubai One’s Jieun Wrigley went down to the Abu Dhabi Vocational Education and Training Institute to see how they’re preparing Emiratis for a more specialized job market. Abu Dhabi, March 07, 2013 – Leading researchers from around the world will converge in Abu Dhabi to discuss information technology challenges in big data — the term for a collection of large, complex data sets that are difficult to process with existing data management and processing applications. The NYU Abu Dhabi (NYUAD) Institute, the Polytechnic Institute of NYU, and Injazat Data Systems — an industry-recognized market leader in the region for information technology and cloud and data center managed services — will host a conference on “Big Data Systems, Applications, and Privacy” to discuss the business, government, education, and entertainment impacts of the big data phenomenon. The event will be open to the public and will run from March 10 to 11, 2013, at Injazat’s headquarters in Mohammed Bin Zayed City, Abu Dhabi. Big data is changing IT frameworks around the world. According to IBM, in 2012, 2.5 exabytes (quintillion bytes) of data were created every day. This massive influx of information requires a re-thinking of data security, handling, and delivery across various types of organizations and industries. “At present, the volume of data created worldwide every two days is around the same as that created between the beginning of civilization and the early 2000s. Clearly there is a need to evaluate and enhance current methods of data management, delivery, and protection to address such exponential growth. The conference organized by NYU Abu Dhabi and the Polytechnic Institute of NYU is an important platform for sharing and gaining strategies on how big data should be approached at the regional and global levels,” said Ibrahim Lari, CEO of Injazat Data Systems. Injazat Data Systems is developing solutions to meet the challenges posed by big data in areas such as capture, curation, storage, search, sharing, analysis, and visualization. It taps its local and international partnerships with major private and academic organizations to find the answers to some of the technology field’s most pressing issues. 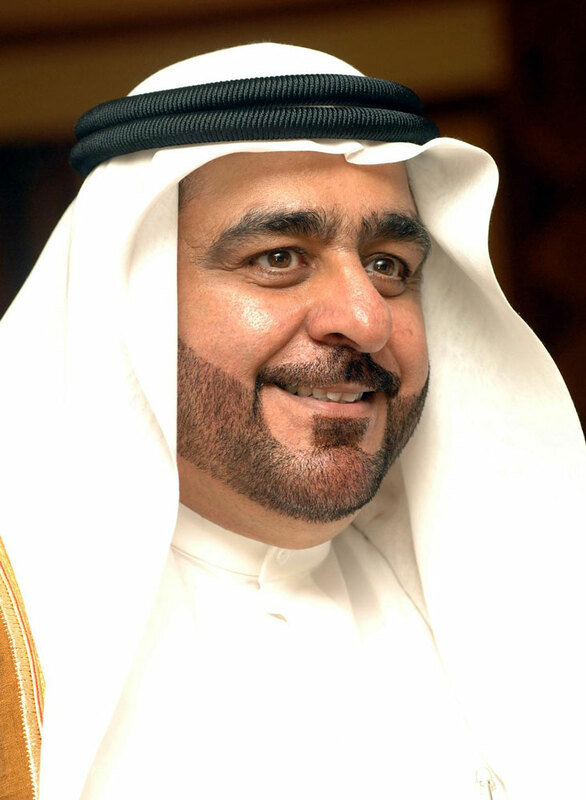 Members of the public can RSVP to attend the event here: http://nyuad.nyu.edu/news-events/abu-dhabi-events.html. NYU Abu Dhabi, through the NYU Abu Dhabi Institute, is a world-class center of cutting-edge research, scholarship, and cultural activity. The Institute creates singular opportunities for leading faculty members from across the arts, humanities, social sciences, sciences, engineering, and the professions to carry out creative scholarship and conduct research on issues of major disciplinary, multidisciplinary, and global significance. Injazat Data Systems is an industry recognized market leader in the region for Information Technology, Data Center and Managed Services delivered from the region’s most sophisticated and advanced facility, the Tier IV design certified Premier Data Center facility. As a local company with a global experience, Injazat continues to develop market-leading services to meet the dynamic needs of customers today and in the future. ALHOSN University, a leading Abu Dhabi-based university dedicated to high-quality, value-based education, joined some of the UAE’s top educational institutions and experts in discussing important issues affecting the learning environment and abilities of youths – particularly UAE Nationals – during the 3rd Universities forum which ran from February 19 to 20, 2013 at the Waset Youth Center in Al Sweihat, Sharjah. Organized by the Youth Centers Department of the Supreme Council for Family Affairs, Sharjah, this year’s Forum enlightened student attendees on their career options and the right attitudes they need to bring into college and through employment. Daily sessions were held from 8am to 1pm and 4pm to 10pm. ALHOSN took this opportunity to inform participants of its holistic approach to personal and professional development under its philosophy of ‘global knowledge with local vision’ and shared its views on the growth of young Emiratis. The university encouraged students to consider unique programs for both genders and entertained inquiries from top students interested in the ALHOSN brand and mission. “The UAE needs bright, young, driven leaders to sustain the success it has amassed over just four decades of existence. Sharjah’s Universities Forum has always been an important platform for ALHOSN University to determine how to best empower Emirati youths with the knowledge, skills and character they need to continue building this country’s future. 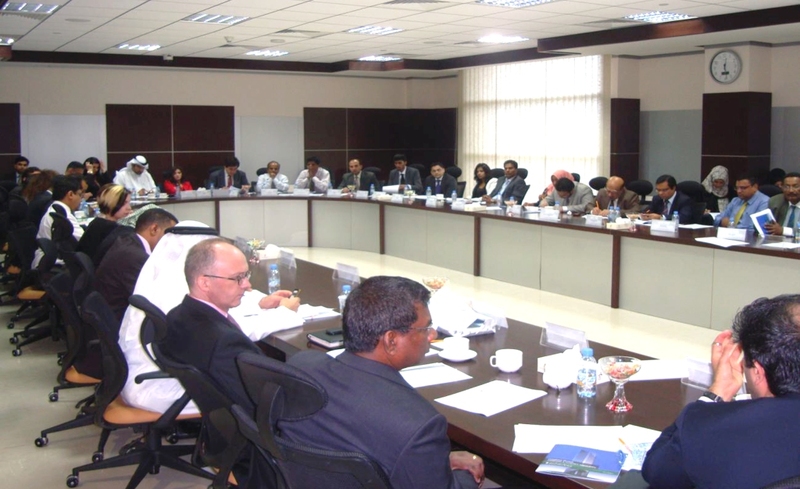 As usual we were very pleased with the warm response from the participants and we hope to see many of these faces become part of our university’s family soon,” said Professor Abdul Rahim Sabouni, Vice Chancellor and CEO of ALHOSN University.. The annual Universities Forum in Sharjah was first held in 2011 to support the UAE’s Emiratization program and has since grown into one of Sharjah’s leading special events. The Forum has consistently drawn over 1,500 attendees every year since its inception. Founded in 2005 by the Abu Dhabi Holding Company to provide high-quality, value-based education to students of all nationalities, ALHOSN University has been at the forefront of dialogue on meaningful and education-driven Emiratization. The university offers 12 officially certified undergraduate and 7 graduate programs under the Faculties of Engineering and Applied Sciences, Business, and Arts and Social Sciences. 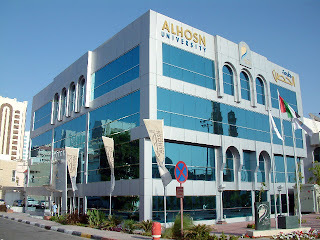 ALHOSN University is a leading private university dedicated to high-quality, value-based education under the slogan “Global Knowledge with Local Vision.” The Abu Dhabi-based institution is owned and supported by the Abu Dhabi Holding Company and is fully accredited by the UAE Ministry of Higher Education and Scientific Research. ALHOSN University manages accredited programs (12 undergraduate and 7 graduate) in three faculties, all of which were developed by top North American educational experts. Undergraduate academic degrees are offered as four-year programs and taught in English, except for the Arabic education component. The University’s City Campus includes the Men’s Campus, the Women’s Campus, the Engineering Lab Building, the Library Building, and the Lectures Building, all located at the heart of Abu Dhabi. A main campus with world-class, state-of-the-art facilities will soon be constructed. ALHOSN is open to students from all nationalities. British Council UAE organizes the Skills for Life Workshop, on the behalf of the Fujairah Women’s College in November 2012. Injazat underscores technology’s social impact at Zayed University’s Google Day event. Global spending on information technology (IT) is expected to cross USD 3.7 trillion in 2013, which is a 3.8 per cent increase from 2012, according to Gartner. Aside from its economic and business benefits, IT also plays an important role in social development. Cognizant of the multiple growth roles of technology, Injazat Data Systems has been supporting various technology-promoting initiatives, a number of which are particularly geared towards young UAE Nationals. Injazat is tapping a recent competition and an upcoming event at Zayed University to further encourage Emirati youths in particular to enhance their technology proficiency and use IT as tools for sustained national development. To sustain the momentum of its technology awareness efforts, Injazat is sponsoring the Google Day event being held today (Tuesday, January 8, 2013) at Zayed University. Organized by the College of Technological Innovation and run by the Zayed University IEEE Student Branch, the university’s Google Day serves as a platform for discussing the latest technologies related to the Google internet service. Among the topics lined up are Google Chrome Extensions, the Google Web Toolkit (GWT), and Balsamiq Mockups. A workshop on the Android operating system for mobile devices will also be conducted. In December 2012, Injazat also sponsored the 1st Annual Technology Comics Competition organized by Zayed University’s College of Technological Innovation. The unique contest challenged students to discuss the impact of technology in an entertaining manner via comics as the medium of expression. “Injazat believes in the importance of instilling the value of technology and its influence on society at an early age. This aligns with our own corporate vision of IT excellence. We are thus highly committed to supporting events by educational institutions that enable students to meet technology professionals, acquire knowledge, and influence young Emiratis to pursue technology-enabled paths to national development. We commend Zayed University for exposing its students to lively discussions and meaningful activities that emphasize the importance of technology for personal, professional, social and cultural growth,” said Ibrahim Mohamed Lari, Chief Executive Officer, Injazat Data Systems. Abu Dhabi –based Injazat Data Systems is an industry-recognized market leader in the region for Information Technology, Cloud and Data Center Managed Services delivered from the Middle East’s 1stTier IV design and ISO 27001 certified Data Centerfacility. The company is engaged in various initiatives aimed at emphasizing the important linkages between technology development and the UAE’s social and economic development. 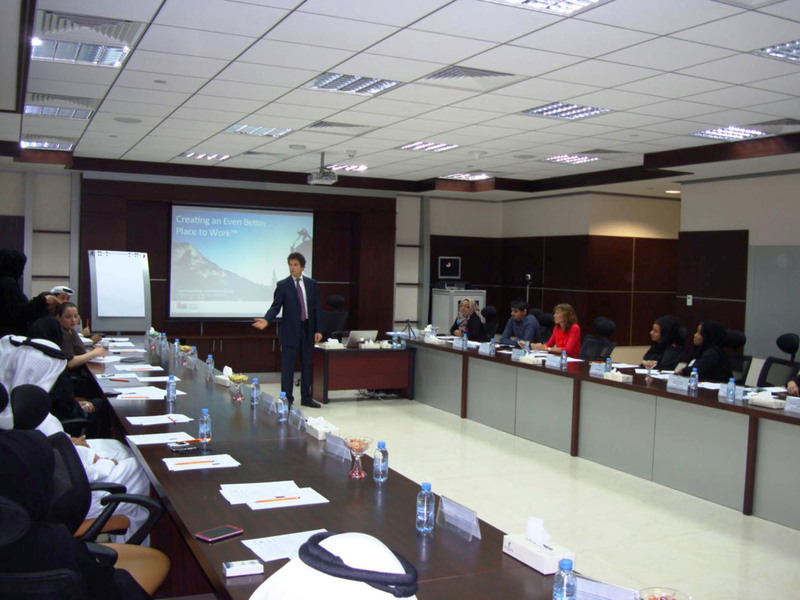 Injazat regularly extends training, sponsorship and partnership programs to leading local universities. Injazat Data Systems is an industry-recognized market leader in the region for Information Technology, Data Center and Managed Services delivered from the region’s most sophisticated and advanced facility, the Tier IV design certified Premier Data Center facility.